Birdwatching in the Atlantic Rainforest in South East Brazil. The Atlantic rainforest in Brazil,covered a stretch of 3000km of length and 13 million square kilometers. Since the colonization some 500 years ago, almost all except 7.8% of this forest has been converted into agricultural land and urbanization. 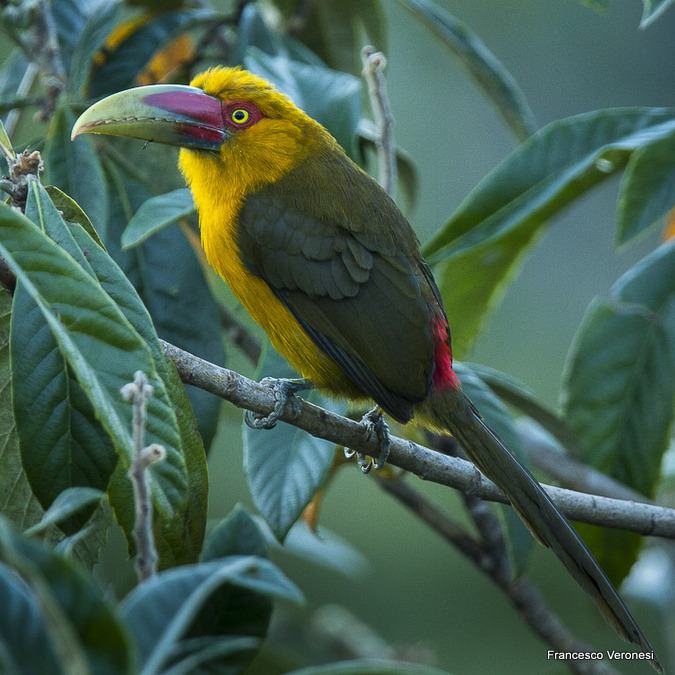 Yet, in the areas that remain, most of them reserves, an enormous number of endemic and unique birds occur. On this tour we concentrate our efforts in areas of Sao Paolo and Rio de Janeiro states such as Intervales State Park, Ubatuba-Angra dos Reis area and finally the great Itatiaia National Park. The pace is relaxed. There are a few walks included (Itatiaia and Intervales) but they are not at high altitude and the pace is rather slow in any case. The tour lasts 11 days. Day 1. Sao Paolo to Fazenda Intervales, Intervales State Park. 4 h drive time. We estimate arriving in Sao Paolo on the night prior to departure or the same morning in the early hours. Day 2-3. Two full days at Fazenda Intervales. Loads of birds here and a perfect start on our Brazil adventure. For example: Solitary Tinamou, Mantled Hawk, Black-fronted Piping-Guan, Blue-bellied Parrot, Silky-tailed Nightjar, Long-trained Nightjar, Rusty-barred Owl, Buff-fronted Owl, Rusty-breasted Nunlet, Crescent-chested Puffbird, Saffron Toucanet, Helmeted Woodpecker, Red-eyed Thornbird, White-collared Foliage-Gleaner, Pale-browed Treehunter, Giant Antshrike, Large-tailed Antshrike, Tufted Antshrike, White-bearded Antshrike, Star-throated Antwren, Scaled Antbird, Squamate Antbird, Such’s Antthrush, Speckle-breasted Antpitta, Slaty Bristlefront, White-breasted Tapaculo, Grey-capped Tyrannulet, Oustalet's Tyrannulet, Brown-breasted Bamboo-Tyrant, "Atlantic" Royal Flycatcher, Pin-tailed Manakin, Serra do Mar Tyrant-Manakin, Hooded Berryeater, Cinnamon-vented Piha, Bare-throated Bellbird, Swallow-tailed Cotinga, Red-ruffed Fruitcrow, Azure-shouldered Tanager, Golden-chevroned Tanager, Olive-green Tanager, Black-legged Dacnis, Brown Tanager, Buffy-fronted and Temminck's Seedeater and Golden-winged Cacique. One of the days we shall be birding along the Carmo trail, which shall take us down to more lush subtropical cloud forest. With some luck on a side trail we may see the rare Woolly Spider Monkey locally knowns as Murici – one of South America-s most threatened primates. Day 4. AM at Fazenda Intervales and then drive to Ubatuba. On the way to Ubatuba we shall visit the wetland Biritiba-Mirim where we shall find the newly described Sao Paolo Antwren. Other species include Rufous-sided Crake, White-faced Whistling-Duck, Brazilian Teal, White-tailed Kite, White-tailed Hawk, Southern Caracara, Picazuro Pigeon, Plain Parakeet, Sick’s (Ashy-tailed) Swift, Yellow-chinned Spintetail, the recently split Red-eyed Thornbird, Dusky-tailed Antbird, Ochre-faced Tody-Flycatcher, Olivaceous Elaenia, Hangnest Tody-Tyrant, Shear-tailed Gray-Tyrant, White-headed Marsh-Tyrant, Masked Water Tyrant, Chalk-browed Mockingbird, Orange-headed Tanager, Burnished-buff Tanager, Brazilian Tanager, Ruby-crowned Tanager, Black-goggled Tanager, Green-winged Saltator, Golden-crowned Warbler etc. Hotel in Ubatuba 3 nights. Day 5-6. Ubatuba and surroundings. We shall visit several sites in the vicinity, including former cacao plantations that now are recuperating secondary forest. 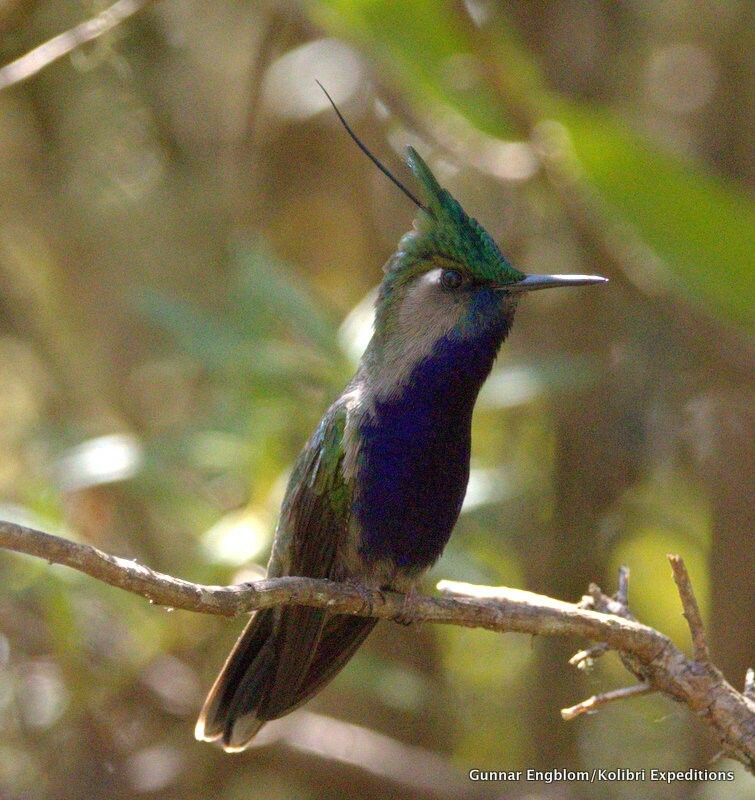 We shall see several species hummingbirds at feeders such as Saw-billed Hermit, Black Jacobin, Festive Coquette, Violet-capped Woodnymph, White-chinned Sapphire, Glittering-throated Emerald and Sombre Hummingbird. Other species include Salvadori's Antwren, Spotted bamboo-wren, Slaty Bristle-front, Fork-tailed Tody-Tyrant, São Paulo Tyrannulet, Russet-winged Spadebill, Atlantic Royal Flycatcher, Buff-throated Purpletuft, and Black-legged Dacnis. We shall visit the sites of Folha Seca, Corcovado, Fazendas Angelim and Fazenda Capricorni. Long day with lots of driving. 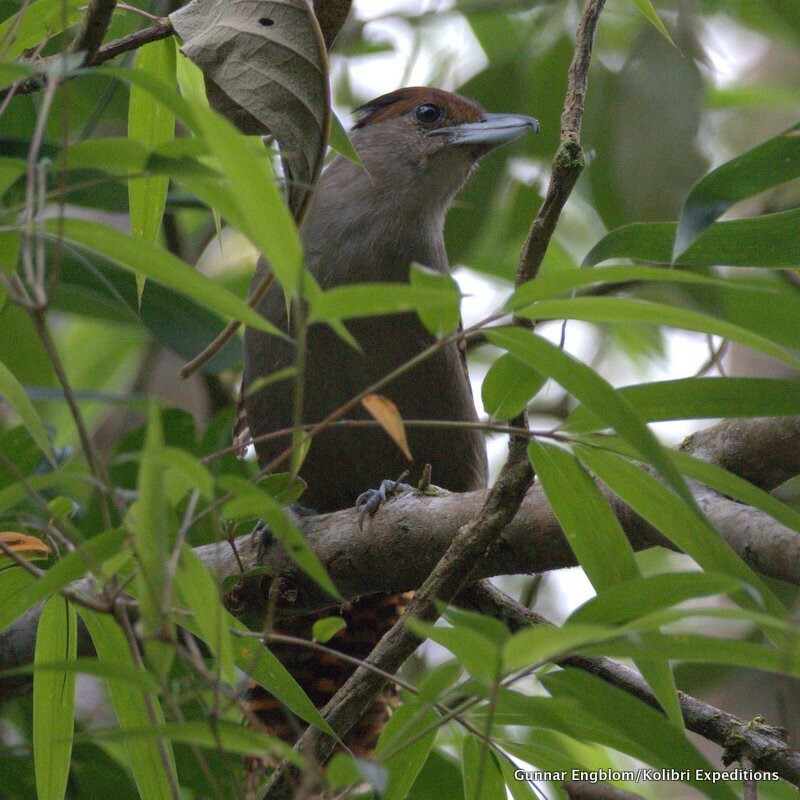 We leave Ubatuba early and drive to Pereque close to Angra de Reis where we find the threatened Black-hooded Antwren. 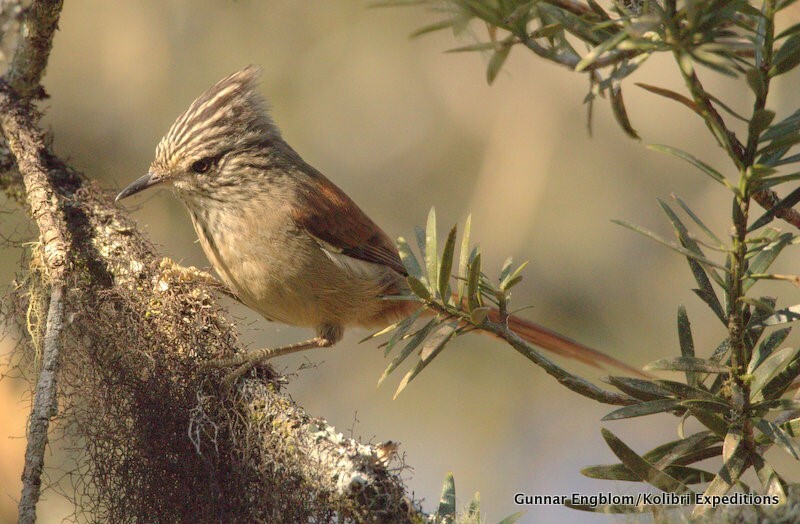 We pass the outskirts of Rio de Janeiro and drive easterly to twitch a very rare and local Formicivora antwren - Restinga Antwren at Praia Seca east of Rio de Janeiro. It should not take long to see it with the use of playback, so we shall turn around as soon as possible and drive towards Itatiaia NP fo the night. Two full days on Tres Picos Trail and the areas around hotel Ype and the famous Hotel Simon (currently closed). The birds include Red-breasted Toucan, Dusky-legged Guans, Brown-backed Parrotlet, Black Hawk-Eagle, White-throated Hummingbird, Buff-browed & Black-capped Foliage-gleaners, Rufous-tailed Attila, Rufous-tailed Antbird, Fawn-breasted Tanager, Thick-billed Saltator, Black Jacobin, Ferruginous Antbird, Black-billed Scythebill, Yellow-browed Woodpecker, Spot-breasted Antvireo, White-browed Foliage-gleamer and Scaled Woodcreeper. Near the waterfall we shall hopefully find Olive-green and Chestnut-headed Tanager, Sharp-billed Treehunter and Blue-billed Black-Tyrant. In the afternoon the last night we will transfer to a hotel in Resende so we are closer to Agulhas Negras road. Day 10. Agulhas Negras road. The highest section of Itatiaia National Park. 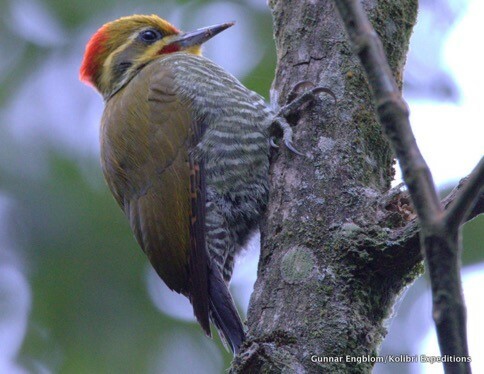 Here we find completely different birds such as Itatiaia Spinetail, Black capped Piprites, Serra do Mar Tyrannulet, Black-and-Gold Cotinga and Black-capped Manakin. During the day, we shall continue to Campos do Jordão, for more birding similar to that of Itatiaia, but many of the species are easier to see here. Horto Florestal is nearby and the main attraction here is the roosting flocks of Vinaceous Parrot. We also often see Red-ruffed Fruitcrow and at nightfall Rusty-barred Owl and Long-trained Nightjar. Day 11. Birding on Pedra do Baú road. In midmorning or around lunch we shall break the birding and drive back to Sao Paulo for flights. Some people will continue to Cuiabá and our Pantanal Program. Top Photo: Red-necked Tanager. Ben Tavener, Creative Commons 2.0. DAY 1 Sao Paolo to Fazenda Intervales, Intervales State Park. Price: US$ 2865 (Minimum 5 people).